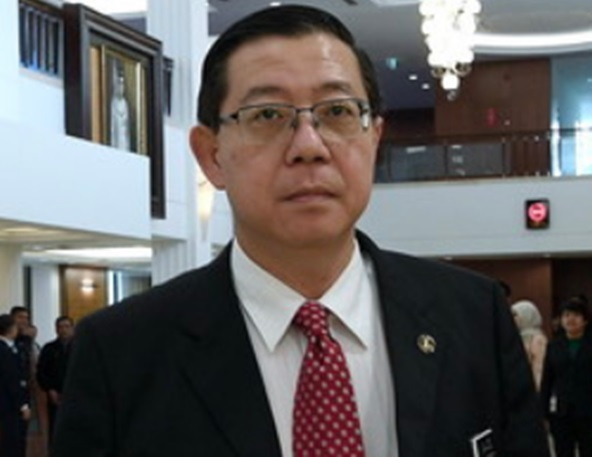 KUALA LUMPUR: – Finance Minister Lim Guan Eng yesterday said that former prime minister Datuk Seri Najib Tun Razak had the power to approve the decision not to transfer RM19.25 billion to the Goods and Services Tax (GST) Refunds Trust Account. He said if Najib, who was the then Finance Minister, did not give approval for the money not to be transferred to the GST Refunds Trust Account, then the former Treasury secretary-general Tan Sri Dr Mohd Irwan Serigar Abdullah should be held responsible for all the alleged offences. “Not only for the alleged criminal breach of trust, but also for abusing or unlawfully taking the role of a minister. “This is because only the Minister of Finance has the power to approve the decision not to transfer the RM19.25 billion to the GST Refunds Trust Account or for the GST refunds not to be made within two weeks as stipulated by the law,” he said in a statement here yesterday. The statement was issued in response to Najib’s answers to the three questions put forward by Lim in connection with the loss of RM19.25 billion in GST claims, last week. Lim first asked the former prime minister if he had authorised for GST refunds not to be made within two weeks as stipulated by the law. Secondly, he questioned if Najib had approved of the decision made Irwan Serigar to not transfer the full RM82.9 billion as requested by the Customs Department but only RM63.5 billion to the GST refund trust fund, which caused the government facing a shortfall of RM19.25 billion. Finally he asked if Najib had allowed for the GST refunds to be used as the government’s revenue and as the administration pleases. In a statement posted on his Facebook page, Najib said the answer was “no” to all three questions.